You may notice, if you are a frequent Myrtle Beach visitor, that there are often new attractions, restaurant and shops opening in Myrtle Beach. This helps make each of your beach vacations that much more exciting because you can check out new places each time you visit. 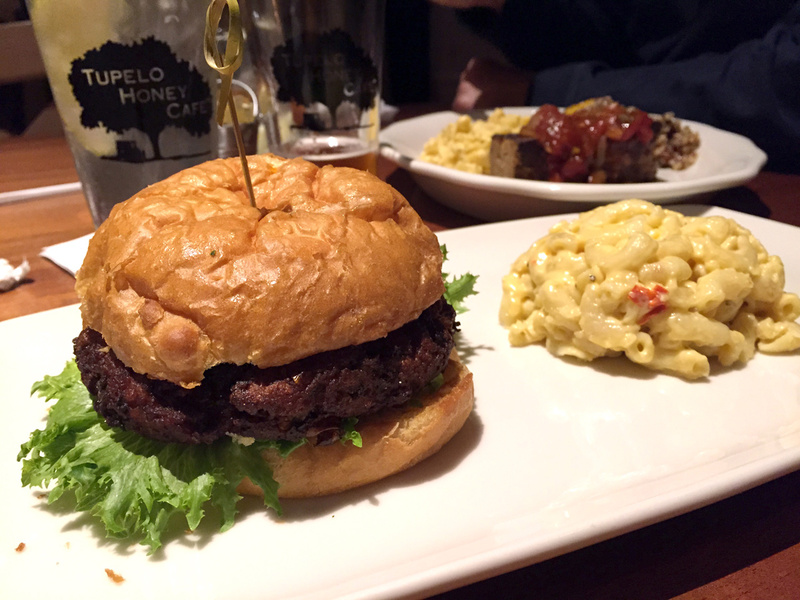 Tupelo Honey Café: If your family loves southern specialties with a twist, Tupelo Honey Café at Market Common is a good nearby dining choice. This new Myrtle Beach restaurant features something for everyone. From Fried Green Tomatoes to Honey Chipotle Wings, their small plates are delicious to share or keep to yourself. They also serve up supper plates like Cajun Blackened Chicken Breast or Hickory Nut Gap Farm Beef and Bacon Meatloaf. Just looking at the menu will make you hungry! Dinosaurs: The Exhibition: Gather up the family and head to Broadway at the Beach during your next vacation for this new attraction. Those who love dinosaurs and learning will love this interactive exhibit. Climb atop a t-rex, dig for fossils and get up close to these giant creatures. They are currently open daily between Margaritaville and Ripley’s Aquarium. Check it out! Carnival of Magic: This new show at Palace Theatre is now open. Running through August 29, it features stunts, magic tricks, illusions and so much more. Your family will be amazed and entertained throughout the whole show. Grab your VMB Card and mention the special code (listed on our discounts page) to receive $4 off adult tickets. New Flights: If your family plans to fly to Myrtle Beach you will be happy to know that more flights have been added to the summer lineup. You can now catch a direct flight with Spirit Airlines from Cleveland or hop aboard with Allegiant Airlines from Indianapolis or Pittsburg, just to name a few. Getting excited for your upcoming family vacation to Myrtle Beach? Start planning by checking out our resort specials page today!